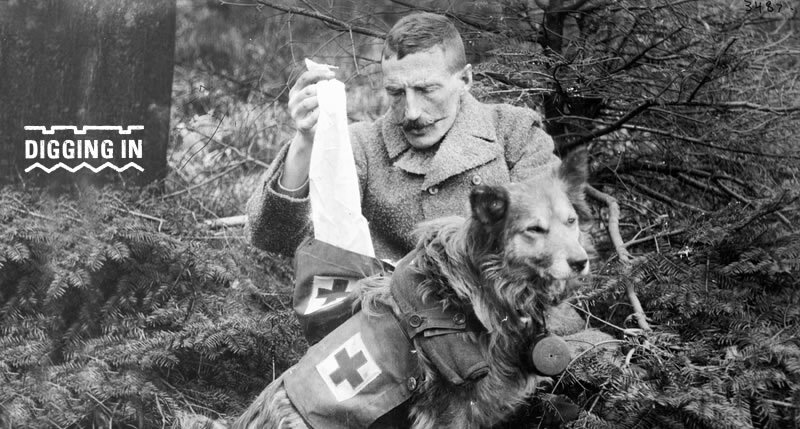 Over 16 million animals were pressed into service during WW1. DIGGING IN invites you to join us at the trenches to explore the vital roles they performed in transport, communications, combat – and solace. DIGGING IN recreates sections of Allied and opposing German trenches in Pollok Park, Glasgow. It brings together a diverse range of specialists and interest groups – archaeologists, historians, teachers, engineers, re-enactors and university Officer Training Corps units – to explore the semi-subterranean world of trench warfare. 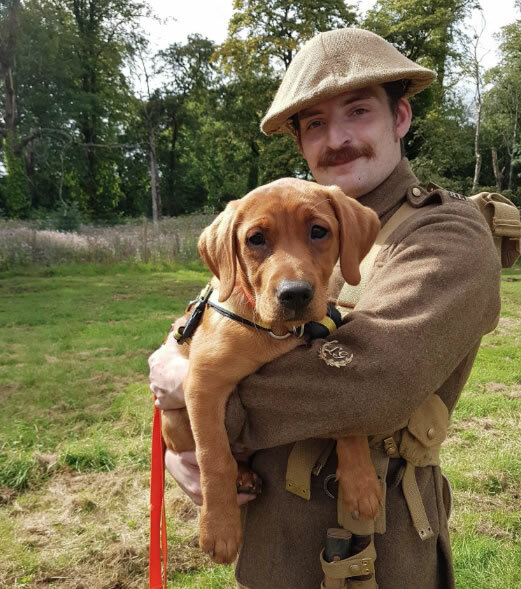 1pm and 3pm: Four Legs Better Dog Show Explore dogs’ unique abilities that made them indispensible to humans in WW1 with expert dog trainers from Kirkintilloch and District Dog Training Club. Put your pup through their paces on our agility course! 2pm: Birdmail Join Malcolm Moy, pigeon fancier for a talk about pigeons’ vital work as frontline messengers and their enduring importance in communication through the ages. 4pm: ‘Helping Heal Invisible Wounds’ join BRAVEHOUND to find out more about the charity’s important work supporting dogs and veterans. Also with all day stand and display. All Day: Winged Messengers A showing of racing and fancy pigeon’s with expert on hand to answer your questions about homing ability, speed and why pigeons were so vital to frontline communications in WWI. All Day: A Dog’s Tale Interactive storytelling sessions exploring a dog’s experience of war using powerful, first-hand accounts of love, cruelty, hope and survival. All Day: Ask a WW1 soldier Living history experts occupy the trenches and answer your questions about life as a soldier serving with animals. All Day Activities: Pigeon Mission! Decorate your pigeon glider with a secret message, then see how far it can fly on our training course and Choose your Mascot badge making.